In: Do You Believe In Magic? Bringing MAGIC to Musical Theater! WADMO and MAGIC Official Finalists and Winners in Film Festivals! 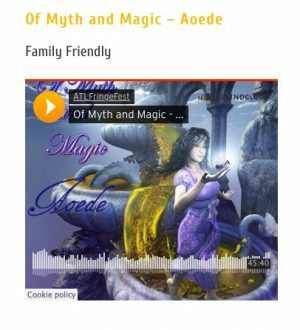 Aoede-Do You Believe In Magic? on Music Friday Live! Do You Believe In Magic? Receives 2 Family Review Center Awards! Do You Believe In Magic? Interview and Endorsement from KIDS FIRST! Do You Believe In Magic? Features! Do You Believe In Magic Received Parents Choice Award! Honored to have received an Award from Parents Choice for Do You Believe In Magic? ! Studio Recording for Aoede’s Do You Believe In Magic? Musical Audiobook!